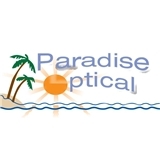 Paradise Optical (Marietta) - Book Appointment Online! Our goal is to provide you and your family with the highest quality eye care possible at a fair price.We offer complete eye examinations performed by Dr. Louis B. Miller, O.D., board certified optometrist with over 30 years of excellence. We also have a full service optical dispensary to meet all your eyeglass and contact lens needs. Our optical staff has over 50 years of experience in fitting frames and lenses. I will have to say this is the best eye Dr. I have ever been too.